The man who made the world conscious of Ann Sheridan and Lauren Bacall is about to officiate at the birth of what he hopes will be another star-and he’s willing to pay -anything up to a million dollars” for the privilege. The “baby” is Hazel Brooks. 5 feet 7½ inches tall and inclined to be skinny except in the right places. The “obstetrician” is Charlie Einfeld, president of Enterprise Studios. Hazel’s red hair and green eyes have a strangely invigorating effect. Her husband, 55 year old Cedric Gibbons. MGM art director, married her five years ago at a time when the studio was busy finding new ways of avoiding Hazel Brooks. An ex-model. Hazel looks like a pin-up drawing come to life with very exaggerated curves – but doesn’t seem quite real. She’s intellectual, reads Berkely and Hume, and studied medicine before her youthful ideals gave way to a more mature realization that her body was worth more than her brain. What young men think about her, however, doesn’t matter to Hazel. She considers them immature, un-poised and unambitious. She likes men who have already established themselves. After grooming Miss Sheridan and Bacall to stardom, Einfeld (then vice-president in charge of advertising and publicity for Warner Brothers) swore he was through with glamor gals. When he organized his own studio, Charlie told his directors to hire only established actors, and those only on a one picture basis. But habit is hard to break. Maybe Charlie figured his small independent studio ought to have at least one star to its financial credit. So after meeting Hazel on the lot one day, Charlie signed, her to a long term contract – the only one his studio holds. It looked at first like a tough job. Einfeld knew Hazel’s record at MGM. The only important test that studio saw fit to give her was a Noel Coward scene. Playing the young matron required so much time, in fact, that Hazel had to give that up, too, when she got her second break in the movies. She and Cedric sold their mansion to Keenan Wynn and moved into a small, luxurious two bedroom dream cottage in Bel-Air so she could spend more time at Einfeld’s studio. When Hazel and Gibbons were married, Hollywood lifted its eye-brows. Few thought the marriage would last, but Hazel says, “He is the kindest man I have ever met.” Most of Hollywood agrees with her on that. 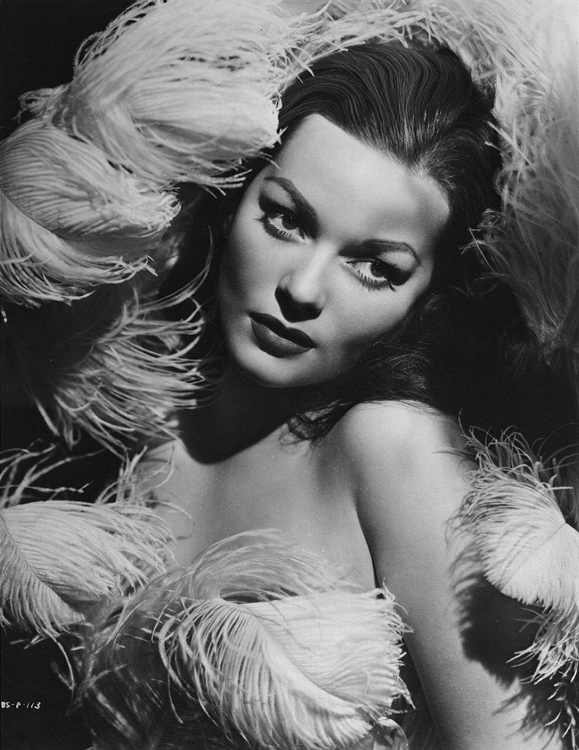 So Hazel Brooks, a sea captain’s daughter, born in Capetown, South Africa, and reared in New York, may some day become a star. Technically, she already is a star, with top billing in a new Einfeld movie. How long she remains a star, however, depends to a certain extent on how well she has learned her lessons from Gibbons, and how far Einfeld is willing to back his investment.